We can print coasters for your party or event to match your decor, or as gifts to give to employees and loved ones. Many different materials and styles are available, so we have options for every budget! 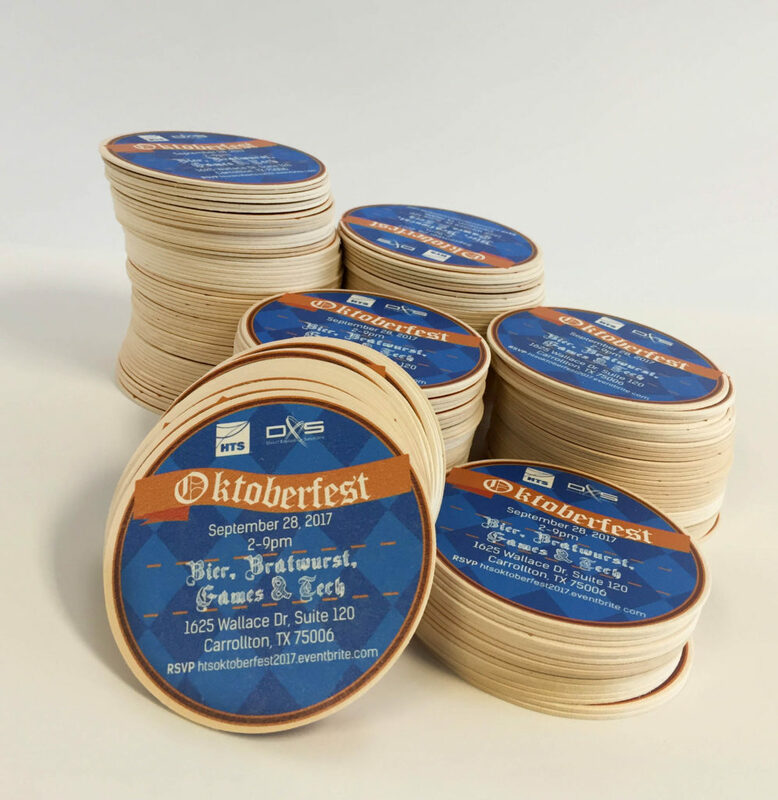 Larger runs will be required for most of the above materials, but we do offer small quantities of pulpboard coasters. 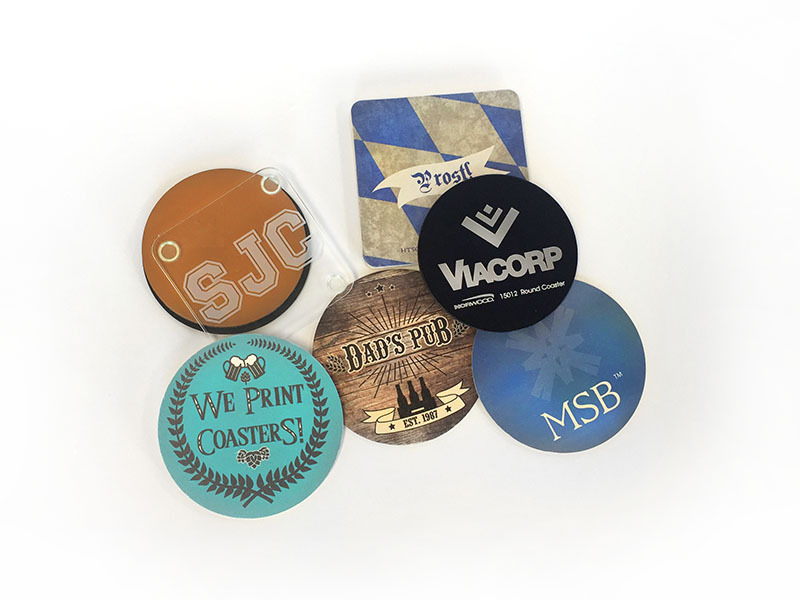 Send us your logo or have us create a custom coaster design for you- order today! To see our online catalog filled with thousands of ideas click here! When you find a product you like, please contact our team for specific pricing information. 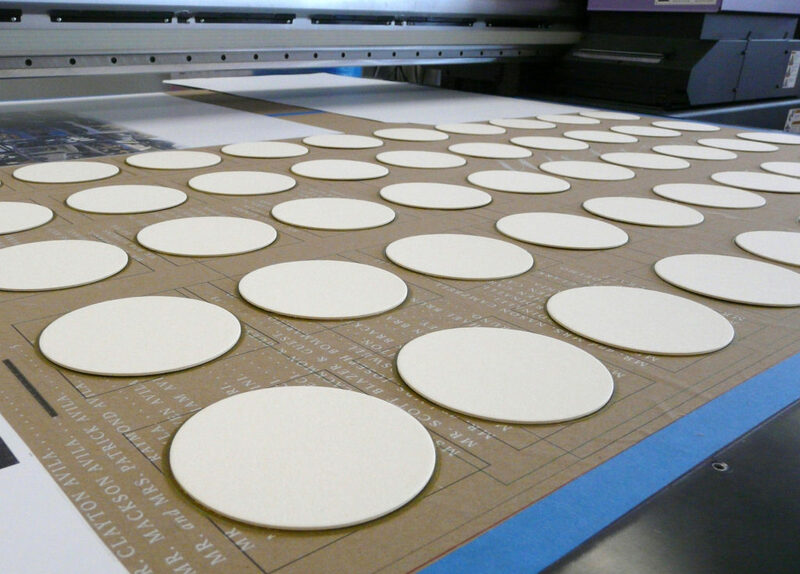 We print small runs of pulpboard coasters (less than 500) right here in house on our flatbed printer. Materials such as stone, glass, cork, and leather will have longer turnaround times, minimum 7-10 business days. 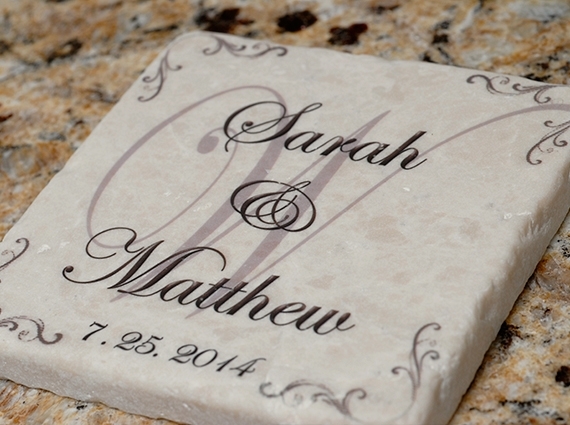 These coasters serve a double purpose- they’re also an invitation to the event!